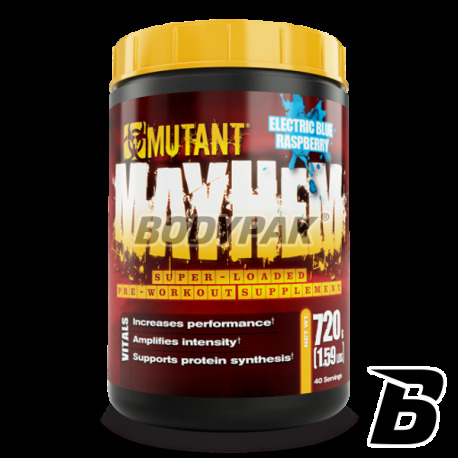 Mutant Mayhem created the most potent stimulators of metabolism and ingredients to build muscle mass of the body. The rich formula of fast-acting provides the syntax of a physiological effect allowing the release of energy after the first portion of the product. 114 loyalty points Your cart will total 114 points that can be converted into a voucher of 4,56 PLN. 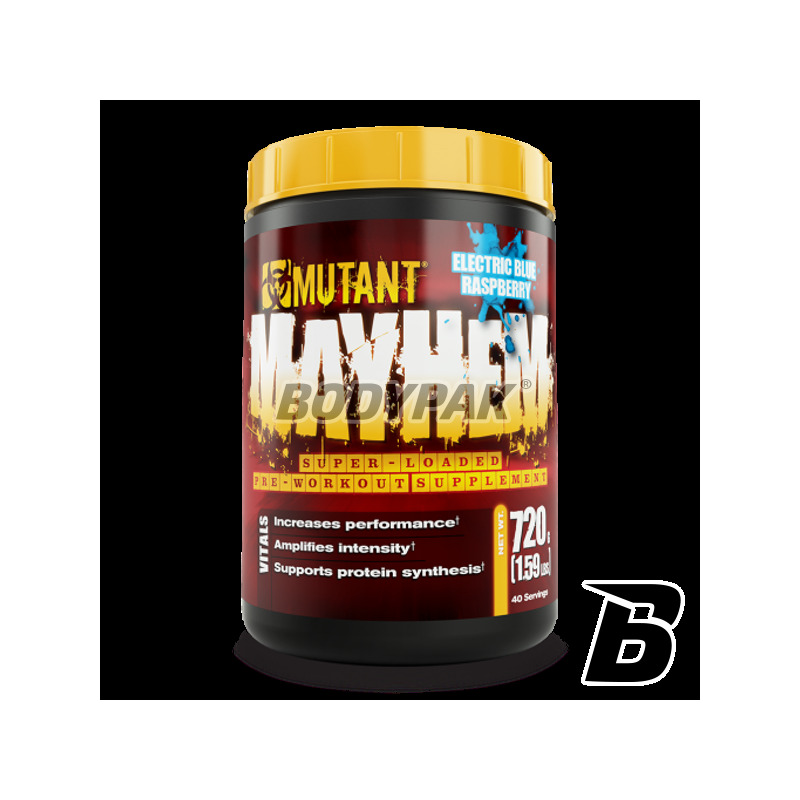 PVL Mutant Mayhem created the most potent stimulators of metabolism and ingredients to build muscle mass of the body. The rich formula of fast-acting provides the syntax of a physiological effect allowing the release of energy after the first portion of the product. This strong and effective conditioner of Canada for professional athletes practicing strength sports (bodybuilding, fitness) and endurance athletes containing in its composition of active components that promote regeneration, accelerate anabolism, inhibit catabolism, adding energy, increase the production of nitric oxide (NO), and also they ensure the proper functioning of muscles, which helps to increase muscle strength and influence for better and greater strength. Mayhem is the perfect supplement for every true athlete demanding! Other ingredients: citric acid, silicon dioxide, malic acid, natural and artificial flavors (may comprise soy lecithin), sucralose, acesulfame K, Brillian Blue FCF (E133).